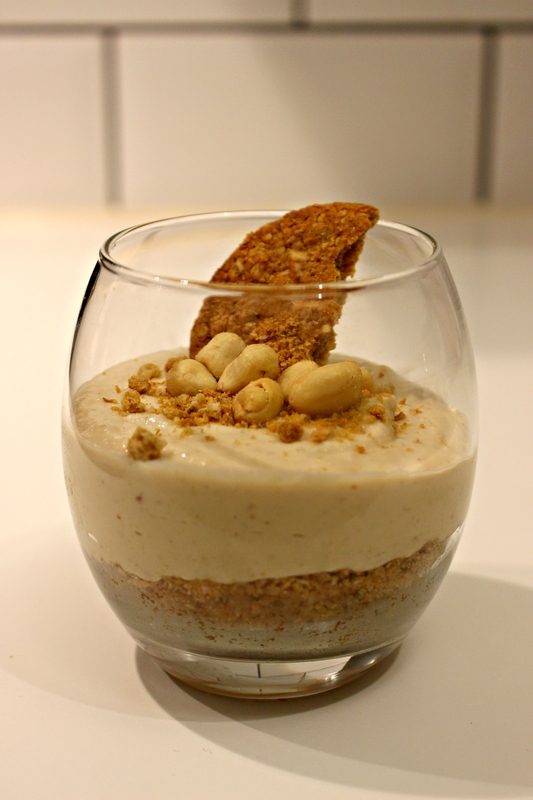 Creamy peanut butter mousse on a crumbly biscuit base! The creamy mousse and the crunchy biscuit base compliment each other perfectly. I topped mine off with crunchy peanuts to give them a bit more bite! 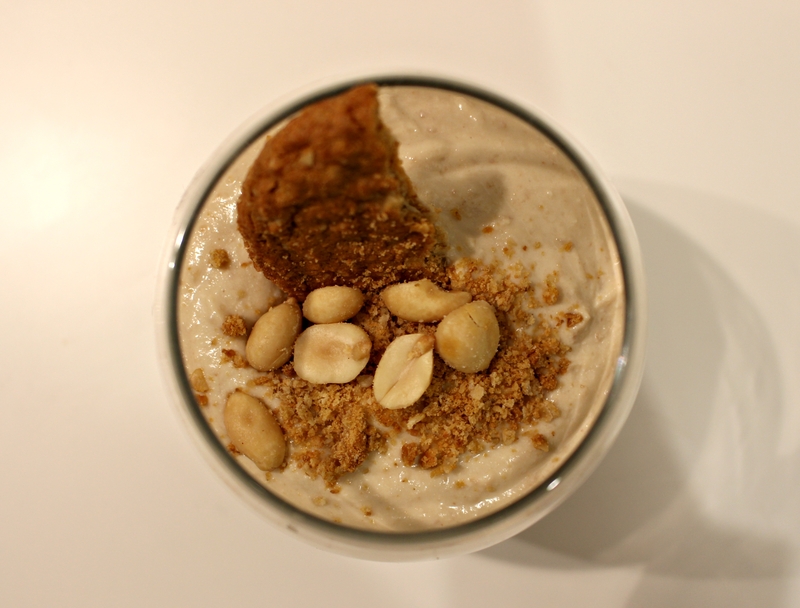 The main ingredient in the creamy peanut butter mousse may surprise you – I was surprised when first saw it being used in desserts, but it works so well! It’s TOFU! That may sound disgusting to you initially, but as it hasn’t got a strong taste, it is the perfect base ingredient to add flavour to. You can’t taste it at all over the peanut butter! Also, the texture works so well to make this pudding thick and creamy. It’s one of my favourite ingredients to work with because it’s just so versatile! I whipped this dessert up because I had some tofu left in the fridge which I wasn’t going to use as I was eating out all weekend. It’s a real simple pudding which only requires 6 main ingredients, most of which you will probably already have in your kitchen! And it will only take you 15 minutes to make. Blend or crush the hobnobs into crumbs, and add the melted butter. Pop them on the bottom of your serving dishes and press them down. Blend the tofu, plant milk, sugar and peanut butter together until smooth and creamy. Spoon on top of your biscuit base. Top them off with a little more crumbled biscuit, and peanuts. Pop them in the fridge to chill if you’re having them later, or grab your spoon and ENJOY!! !